Is it a car, or a tablet? In its ads for the XTS with CUE (Cadillac User Entertainment), Cadillac likes to emphasize how much its infotainment system’s interface has in common with a smart phone or tablet. 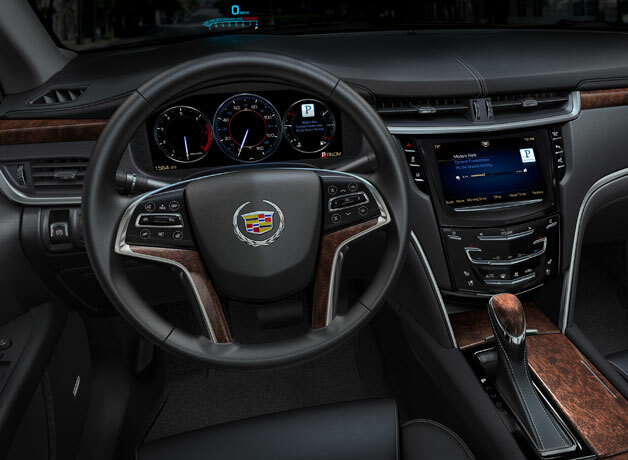 You can pinch and drag on the XTS’ touch screen to your heart’s content, but what about the rest of the car? Digital devices are the hot technology of the moment, just as cars, jets, and trains were in decades and centuries past. To keep with the times, cars are starting to take on some of the look and functionality of phones and tablets. Design wise, that creates many good-looking cars that lack the sheer verve and optimism of the classics. But it creates a host of more practical problems when car companies start turning their products into giant tablets. At the very least, it makes driving a car very difficult. Controlling a touch screen is easy when you can look at it, but you really need to keep your eyes on the road at all times while driving. Carmakers continue putting these systems in their vehicles, but they’ve pretty much left it up to the owners to figure out how to use them without crashing. So much for surfing radio stations on the go. Or even checking to see if your brights are on. A small dashboard icon suffices in most cars, but the Tesla Model S uses its industry-best 17-inch screen to show the driver a picture of the entire car. That’s cool when you’re sitting still, but it’s hard to imagine looking away from the road while carving through traffic to fiddle with the screen. Driver shouldn’t get into the habit of ignoring the road to play with infotainment systems, and they shouldn’t ignore the rest of the car either. The Model S’ touch screen is the cherry on top of a technology sundae that includes a high-performance electric powertrain and super-low drag coefficient, but what if someone slapped that interface on a less-than stellar car? A car needs to do much more than be a wheeled platform for a tablet. Customers shouldn’t let carmakers off the hook, or let themselves get cheated, by ignoring the things that make a car a car. After all, would you buy a Ford Pinto if someone strapped an iPad to the dashboard? We really on our cars for transportation and our mobile devices for communication. Let’s try not to confuse the two. Sometimes, the best ideas come from history. Thankfully, the 2008 recession is starting to fade, but many people are still out of work and there is no legislation in place to stop the banks from going back to their old ways. What to do? Analysts compared the recession to the Great Depression, and that is where the answer lies. Depression-era Americans hated banks as much as their descendants, so they weren’t too upset when outlaws like John Dillinger started robbing them. Why couldn’t that work today? Several individuals sued banks for illegally foreclosing on the plaintiffs’ homes. Some even walked into local branches and took furniture as their payment after the banks were defeated in court and refused to pay damages. This seems like the next logical step. Many people have criticized President Obama for bailing out failing companies instead of letting them fail, which would be appropriate punishment for their financial irresponsibility. But Obama’s bailout of General Motors and Chrysler actually gave us the tools to get our money back. Dillinger may have been a Ford man, but GM and Chrysler make some pretty good getaway cars. 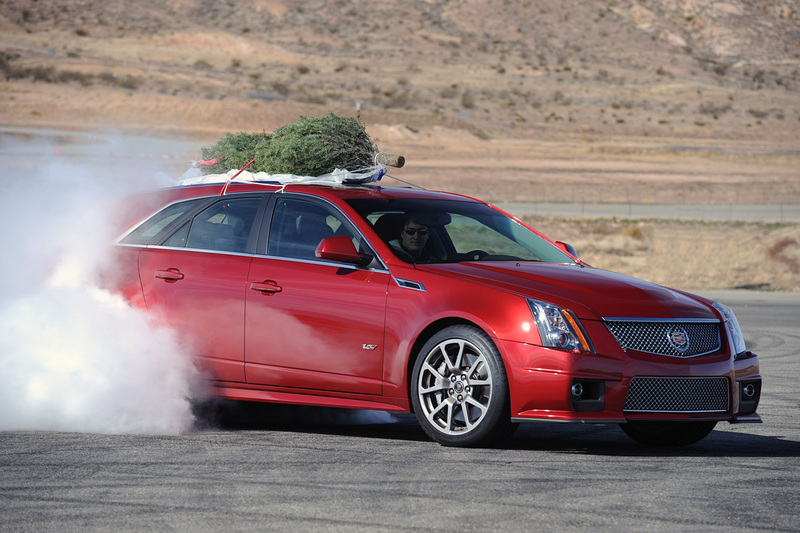 The Cadillac CTS-V wagon has 556 horsepower, and plenty of room for loot. A Chevy Volt will get you across the state line while the cops are still filling up their cruisers. The Chrysler 300 looks like it was designed by Al Capone. Obama hasn’t made much progress in prosecuting the financial concerns that caused the recession, or in passing legislation to prevent the same thing from happening again. He is obviously waiting for real Americans to take matters into their own hands, instead of getting the government involved. I don’t think he’ll be sending the FBI after the modern-day Bonnie and Clyde. So go rob a bank; it’s your patriotic duty. Just remember: when choosing a getaway car, buy American.